Stark City Stomping Grounds – The Silver District for the popular Stark City setting from Fainting Goat Games. The new product is illustrated by Icons artist Dan Houser. The Super Villain Handbook for both Icons and the SUPERS! RPG, by Jason “Dr. Comics” Tondro, “the definitive guide to comic book super villains”. Check ’em out and give them your support, if you can! This is a big step in completing the process that began with launching the Kickstarter at the end of last year. What remains is getting the print copies out to backers who ordered them, once the proofs are in and approved, and getting the 2.0 version of the ICONS Character Folio software out to backers and available for sale. So far, issues with the PDF roll-out have been minimal: a small percentage of backers (less than 10% I’d say) who didn’t get the coupon codes e-mailed from DriveThruRPG and needed them re-sent in some way, and a minor problem with one of the GM Screen files not downloading properly (apparently fixed by putting all the files in a ZIP archive). For my part, I’m glad to have the book out there in its finished form and really pleased with how it came out. Playtest feedback was helpful in refining the final text, and Dan Houser’s art and Daniel Solis’ layout really make the book look great. I’m looking forward to seeing it in print and already thinking about future ICONS projects. As part of the Great Power Kickstarter for ICONS, I mentioned that a set of conversion notes, going over the differences between the ICONS rulebook and the Great Power updates, would be included. I’m making the ICONS Great Power Conversion Notes available as a free PDF, and will also include it in the download package for the final book, when it’s ready. See the Kickstarter page for updates and more details! 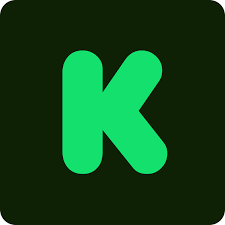 Still, if you’re reading this, that means the first Icons Kickstarter is live and I (probably) survived the process. Great Power is a super-powers sourcebook for Icons I’ve been working on for a while and the Kickstarter is to do what Kickstarter is meant to do: generate interest and excitement in the project, determine if there’s a market for it, and raise the money I need to get it finished (namely paying the ever-talented Dan “The Man” Houser a working wage to create the rest of the art). But you can find out about all that and more at the actual Kickstarter page for Great Power, so what are you waiting for? Head on over and check it out! The Icons Wiki is Back!